These juicy, tender strips of steak practically melt in your mouth. 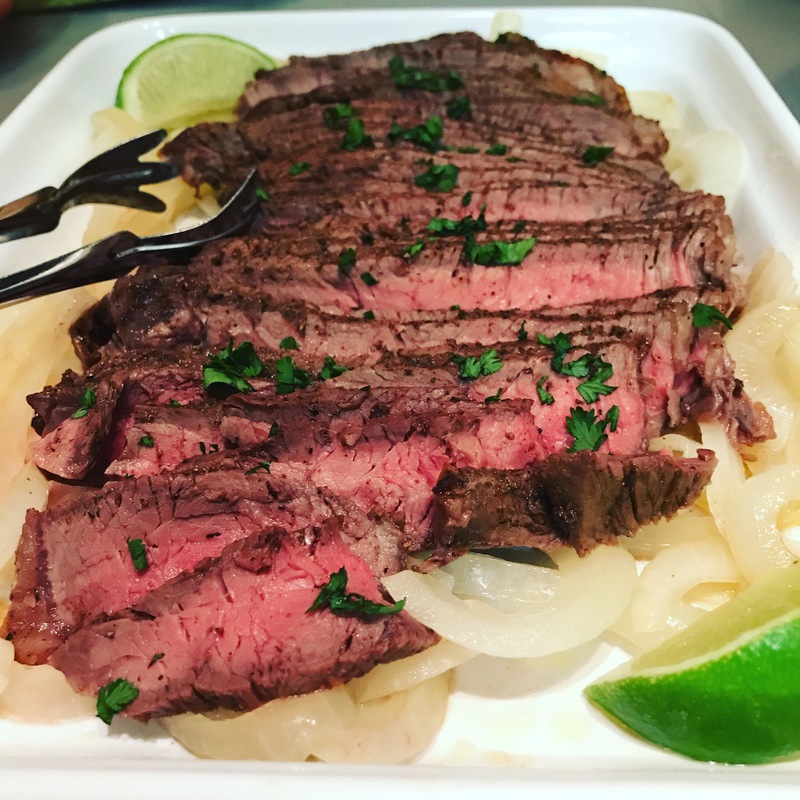 I’ve been making this steak fajita marinade for years, and it always turns out great! It pairs deliciously well with my homemade Sensational Salsa With a Secret, Click here for Recipe. Mix above ingredients in a 7×9 casserole dish. Trim excess fat from steak. Prick steak with the tines of a fork in several places. Place steak in dish, turning once to coat both sides. Cover and refrigerate, turning steak occasionally, at least 8 hours, or overnight. Remove steak from marinade, and discard marinade. Grill steak on medium heat for 8 minutes, flip, and grill an additional 7-8 minutes, until medium doneness. Remove steak, and let sit for 10 minutes, the slice diagonally against the grain into thin slices. Serve with your favorite toppings. Makes 5 servings.